Most email clients (like Gmail, Outlook, etc.) 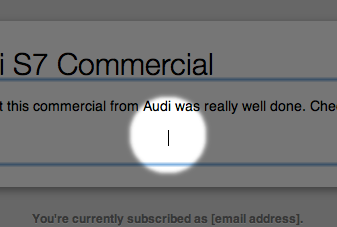 do a really poor job of displaying HTML email (i.e. more than just plain text). As such, most email clients won’t allow videos to be embedded and played right from the body of the message. 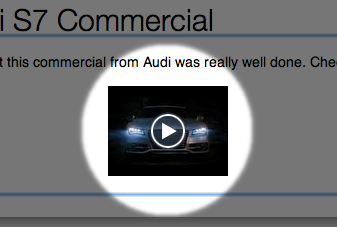 The next best thing, then, is to embed a thumbnail of your video that links to the video. Next, choose Edit > Insert Video from the menu bar. Paste in the URL to the video, choose the size of the thumbnail you’d like, and click Insert. That’s it! When your recipients click the thumbnail, they will be taken to YouTube or Vimeo and can watch the video online. Adding video to your email is a great way to engage your subscribers and stand out from the crowd. With Direct Mail 3, adding video to your emails takes only a few clicks. Try it out in your next newsletter—and tune in next week for more Direct Mail tips and tricks!